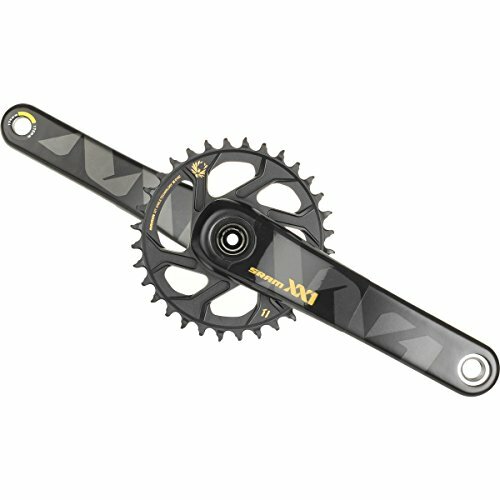 Why should you buy a new crankset? New cranksets promise better pedaling efficiency, higher speeds and smoother shifting. The best mtb crankset for you might even be one that simply fits you better regardless of the features. 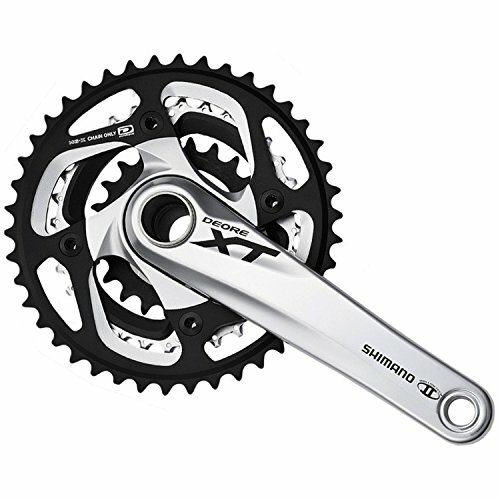 Cranksets vary in chain ring size and number and in crank arm lengths. Most chain rings are “triples:” a setup consisting of three chain rings, usually with 44, 32 and 22 teeth each. Triples have a well-earned reputation for being finicky and hard to tune, leading many riders to doubles and even singles. 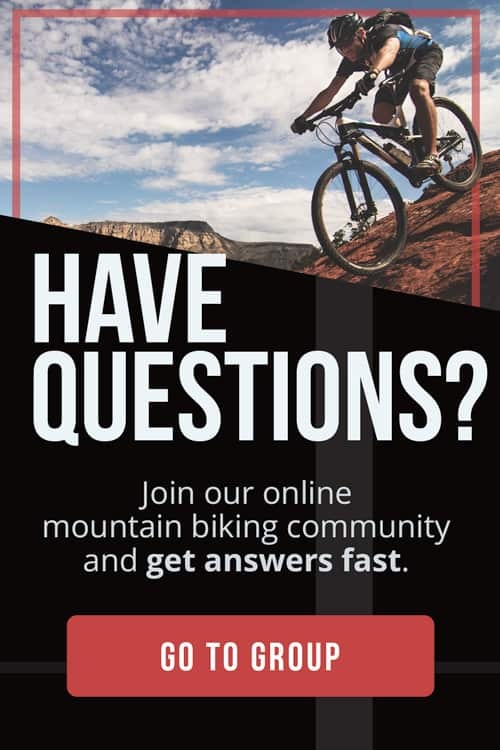 We’re passionate about mountain biking at The Adventure Junkies, and dedicated to helping you get the most out of it. In this guide, we demystify cranksets and show you how to choose the best upgrade for your bike. 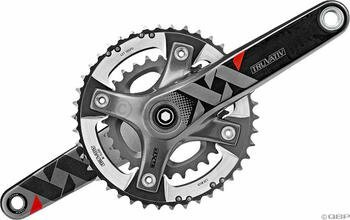 Once you’ve bought a new crankset, make sure to get a compatible chain. Check out our gift guide that includes 100 ideas to surprise your biking friends. The default or standard crank arm length is 175mm on mountain bikes, and is always measured in millimeters. Smaller frames and women-specific frames both may come with shorter crank arms, usually 165mm. 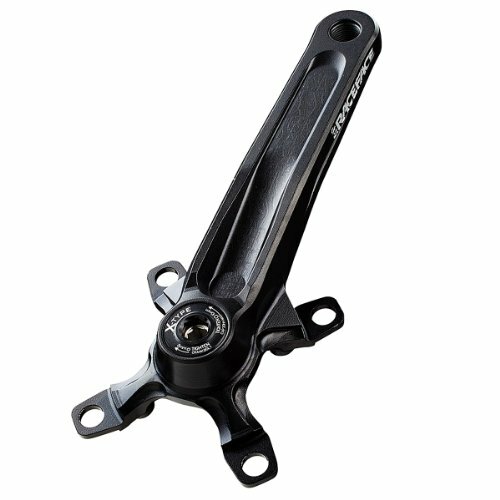 Crank arm lengths range from 165-180mm, increasing in 5mm increments. 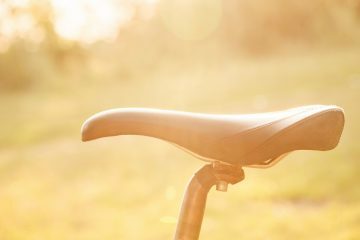 As we explained in an earlier article, titled the Parts of a Mountain Bike, short arms are better for uphill and longer arms better for downhill. Crank arm length should be proportional to leg length. Shorter cranks for shorter legs, and longer cranks for longer legs. Several competing formula exist to calculate ideal length, but there is no consensus. You can probably calculate the right size from trial and error. See how you feel on your current cranks, and experiment with different sizes if they aren’t comfortable. According to Bicycling magazine, a professional fitting is the best way to get the perfect length. Bike fittings can be expensive, but the best fitters will leave you with a detailed, highly specific fit that you can use for years to come. Gear ratio determines how hard you work to turn the wheels. The ratio is determined by considering the number of teeth on the front chain ring to the number on the rear cog. Some riders find the idea confusing because the term higher gear refers both to the bigger front chain ring and to the smaller rear cogs. Conversely, lower gearing refers to a smaller front chain ring and a bigger rear cog. Higher gearing requires more energy but generates more power and speed, making it ideal for downhills and flats. Lower gearing generates less power but takes less energy, making it ideal for hard ascents. 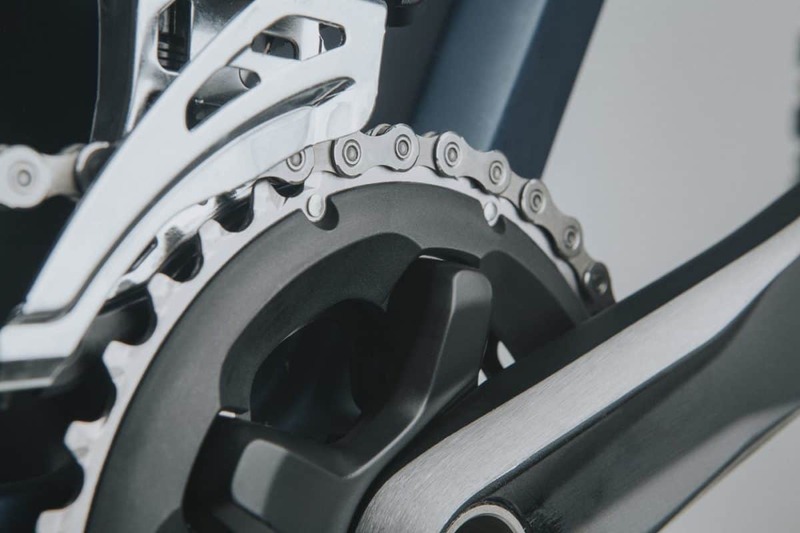 When selecting cranksets, you’ll be looking at the number of chain rings and the range of sizes available and comparing them to your rear cog. The first shifting bikes had single front chain rings, relying on the rear cog to change ratios. Innovation would bring double and triple chain rings to road bicycles, providing greater range and more speeds. Early double chain rings were called 10 speeds because there were 10 possible ratios provided by five rear cogs and two front chains. 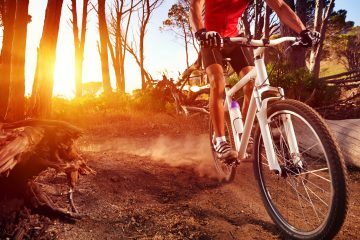 The pioneers of mountain biking made their bikes by welding road bike chain rings onto beach cruisers, getting an extra range of lower and higher gears. Later innovations would add a third tiny chain ring to mountain bikes and dramatically increase the number of rear cogs. After decades of dominance, doubles and triples are slowly being replaced with single chain rings. Part of the appeal is the simplicity. Multiple rings require a front derailleur, adding complexity, cost and weight. At the same time, rear cogs have gotten larger, allowing for more gear ratios. This increase has left double and triple chain rings with redundant or duplicate gear ratios. It also made them less attractive considering weight and cost. Unless you’re racing or climbing extreme grades, a single chain ring is probably perfect. Just ensure sure you have a wide enough range on the rear cog to handle local climbs and descents. Should you ride with a power meter on your mountain bike? Power meters are expensive add-ons that measure and store data on actual power output from your pedaling. Power meters are ubiquitous in road racing, but less popular in other disciplines. 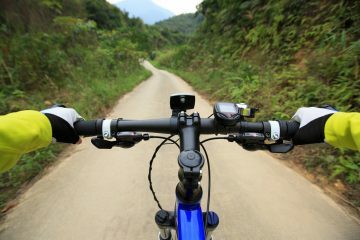 As a result, there are less integrated systems ready for mountain biking. 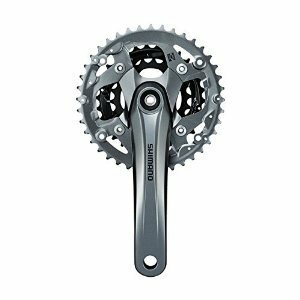 Power meters will add $600-800 to the price of your crankset and aren’t compatible with every brand, so double-check before you buy a new crankset if you’d like to use a power meter with it. 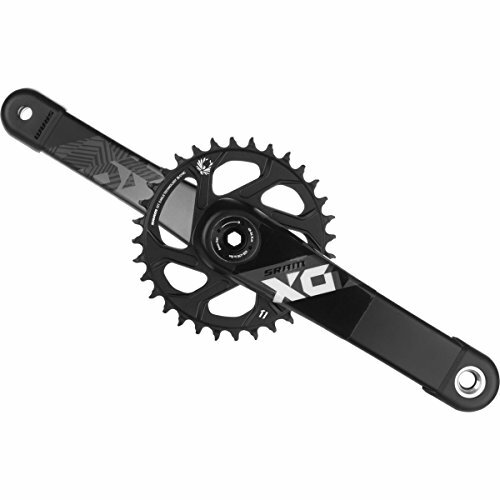 Stages and Rotor InPower both make power meters compatible with a wide range of cranksets. Cranksets consist of two parts connected together; the chain rings and the crank arms. Each part may be made from a different material. Materials used include aluminum alloy, titanium, carbon fiber, chromoly steel, or some other type of steel. When considering materials, look at what your other components are. 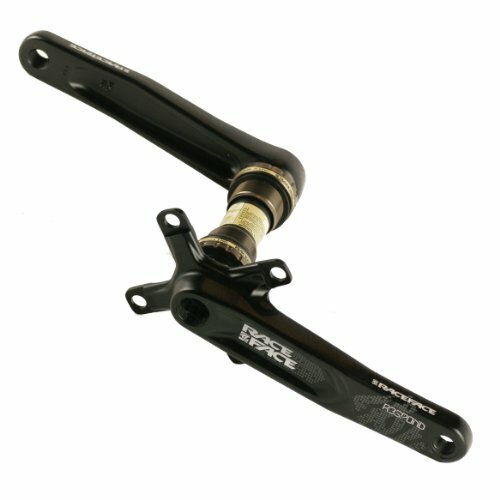 If you have carbon fiber components, you probably want carbon cranks. They’re lighter and stiffer than steel, and will maintain a unified look for your mountain bike. They’re also more expensive. Steel is the heaviest and cheapest. If using steel, try to stay with chromoly steel. Other forms of steel will be less durable and reliable. Aluminium, also called alloy, is in the middle, providing a great compromise. Titanium is more expensive and less common now, having largely been supplanted by carbon fiber. Bottom bracket compatibility is a complex topic. Different frames have different size bottom brackets. Two separate parts are called bottom brackets. The space in your bike frame where a bottom bracket will be installed is called a bottom bracket as is the part itself. This helpful guide from Worldwide Cyclery will demonstrate how you can figure out your frame bottom bracket size. This chart from Performance Bike shows which cranksets are compatible with a specific bottom bracket. In some cases, you can purchase an adapter which should be available from the manufacturer of the crankset. Most cranksets come without a bottom bracket. You may be able to use an existing bracket or purchase a new one. 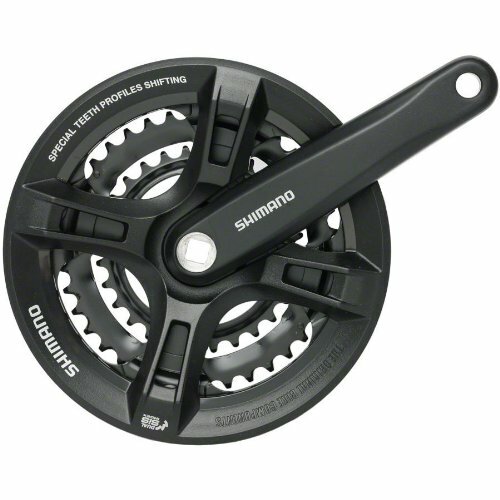 Cranksets with bottom brackets included are highlighted in the guide. 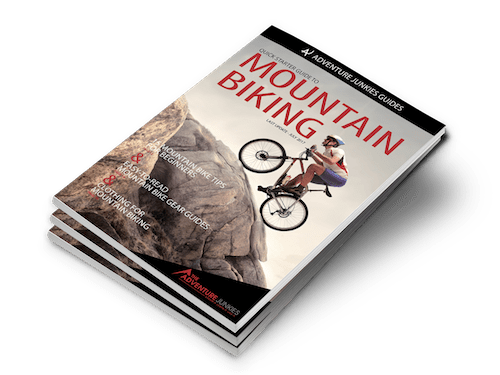 David Streever has written two books for Falcon, Best Bike Rides Connecticut and Best Bike Rides Long Island, and writes about road cycling and mountain biking for various outlets.